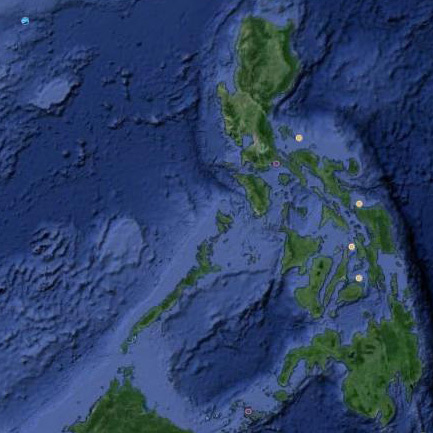 With China about to release maps officially claiming territories in the West Philippine Sea that the Philippines and other Southeast Asian countries have also staked claims on, it gives yet another indication of its increasing geo-political boldness in the region. China’s claims on the disputed territories, particularly those inside the Philippines’ economic corridor, have no historical, legal and moral bases; but this makes the country’s brazenness all the more remarkable. Political analysts have referred to China’s actuations as ‘posturing.’ Beyond the flexing of biceps, however, where all the posturing can lead to is no laughing matter, as history itself has shown. Flash back to 1938 and a Europe that was mesmerised by the growing menace of a Germany under Hitler. The analogy with the present situation in the Far East is not perfect; but there are striking similarities. The major powers were picking themselves up from a crippling economic crisis, not dissimilar to the one in the present day. The major players were France, Russia and most especially Great Britain, the greatest of the colonial powers of the era but whose empire had started to set into the horizon. Britain’s plight was not unlike that of the United States in the present. The latter is still very much a Superpower; but one that is arguably past its prime. History passes no judgement but simply records what comes to pass; and what history is replete with are stories of empires that crumble and once great nations that become no more. Flexing its muscles in 1938 was Germany, a relative newcomer to the Industrial Age and whose economic growth was not dissimilar to the way China awoke from being the world’s sleeping economic giant in the last two decades. Any ambitions that Germany had of empire were, therefore, realistically only to be had by force as Germany’s industrialisation also came almost at the twilight of the colonial age. By 1938, it was a nation that was trying to pick itself up after losing the first great war of the world. Not only was it encumbered by an economic crisis that also plagued the rest of the world; for losing the war, it was also burdened by the reparations it had to pay to the winning nations of the Triple Entente. Its population was distraught, angry and vulnerable to the poisonous rhetoric of one Adolph Hitler, whose ploy to distract the nation’s attention away from its economic woes was to galvanise its military and send it on the quest of empire: the Third Reich. The political scenario was far different from China in the present day. However, a nation’s aggression is always fueled by an economic need. In the case of China, its economy is voraciously hungry for minerals; and beneath the West Philippine Sea is suspected to be large deposits of that which China craves. Before Germany could light the wick of what would be the second great war of the world, first it had to test the resolve of the other Great Powers to resist its warsome overtures. On the pretext that the native German population was being oppressed by the native Czechoslovaks in a territory called Sudetenland, the Germans sought to annex Czechoslovakia in 1938. France and Russia saw the aggression for what it was; but looked to Britain for leadership. Britain, however, was not only unprepared for war; it was also trying to revive its economy and was prepared to allow the annexation of Czechoslovakia. Segue back to the present in the Far East; and the question how far will the established powers, notably the United States, be prepared to allow China its power play before stepping in to put and end to the show. 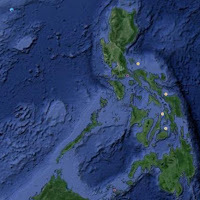 Claiming uninhabited isles in the West Philippine Sea is, of course, not quite the same as the annexation of another country. However, it is a question of infringement on the sovereignty of another nation and what else China is prepared to do if allowed to continue with its acts of aggression. Is it just me, or has none of the world’s powers, immersed as they all are in their own economic woes, really taken a hard and definitive stance to try and dissuade China from its adventurism in the West Philippine Sea? God forbid that China takes the game into the next level. Because we have no real means to defend ourselves against an aggressor of the size and power of China, we are therefore as expendable in geo-political terms as Czechoslovakia was in 1938. Emboldened by reluctance of the Great Powers to confront the increasing threat of Germany, the latter went on to invade Poland on the first of September 1939. This is the day that history remembers as the start of World War II, when the Great Powers were left with no recourse but to declare war on Germany. It is comforting to know that, in contrast to pre-war Germany, China in the present day is not really under a hypnotic trance induced by the rhetoric of a mad man. Because, as an old cliché goes, history does have a habit of repeating itself.